The test result showed two lines! After being married for over a year we were going to have our first child. My life is certainly going to change now I thought. From free and easy bachelor to husband; and now I was going to be a dad. Among the nervousness though, my overwhelming emotions were excitement mingled with happiness and a touch of relief. After all, we had been trying for a quite a while. Katia really wanted a baby and my hunter-gatherer instinct wanted to provide for her. And the adventure of raising a little person did also appeal to me. At the time we were both in the midst of a career break and were able to while away the days with talk of baby names, midwife choices and the myriad of other new parent considerations. It was a very educational time for me. Like most men, I’d never really had any interest in topics baby-related. But now it was all on. Gestations, contractions, epidurals, placentas – a whole new world was opening up. And then there was the whole baby merchandise industry and why we needed this car-seat instead of that one, reusable versus disposable nappy debates and the $1,000 versus $100 stroller decisions. I was just glad that Katia was so much more switched on to all this stuff than I was. The Ante Natal classes provided a great opportunity to meet other semi-clueless Dads. As a group, us blokes fumbled through the interactive sessions whilst discussing the possibilities of maintaining something of a pre-dad lifestyle (e.g. the odd boy’s night out or game of rugger). I clearly recall the graphic videos portraying the birth-experience and the sobering realisation that this was all going to happen to us in just a few short weeks. Our due date came and went. The midwife suggested an induction although Katia & I weren’t so sure. 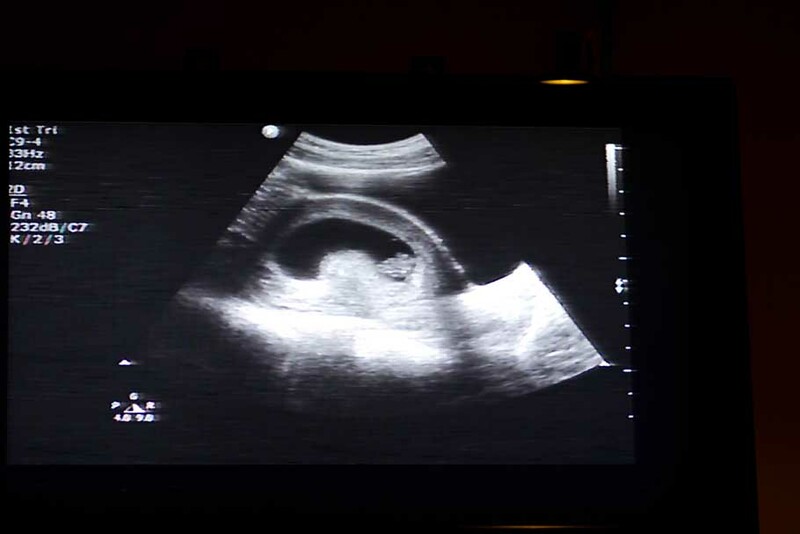 The growth scans indicated that our child was still comparatively small, but had grown fast in the past few weeks. After consulting with the doctor I made the decision to let nature run its course. Over the next couple of days the midwife conducted a couple of mysterious ‘stretch-and-sweep’ manoeuvres behind closed doors; to no avail. Finally, eleven days over term, I awoke on a crisp winter’s morning to Katia’s announcement that the labour had begun­­­­. The day had arrived, as had the butterflies in my stomach. And so began one of the most challenging and incredible experiences of my life. Initially the contractions came every 12 minutes and lasted for about 40 seconds. As the day wore on so did my feelings of anticipation, excitement and helplessness. Katia was clearly in quite a bit of discomfort and was making odd noises which I hadn’t heard before. All I could do was try soothing her whilst fumbling with the TENS machine (which gave relief up to a point) and wheat bag (which gave no relief at all). Our normally companionable pet cat had made herself scarce, unsettled by the bizarre sounds and mood around the house. Twelve hours in and I was keeping a keen eye on the stopwatch. The contractions were now coming every 7 minutes. We were drawing closer to the magical 5 minute mark which would signal our departure to the hospital. Keen to expedite proceedings, I suggested a leisurely stroll up the road and back. Katia’s waters still hadn’t broken and I had heard that mild exercise had the potential to shake the child out. (If our house had an upstairs I’d be pushing for a few stair repetitions). However, the walk only had the effect of providing some neighbourly interest as another contraction struck Katia to the footpath on all fours. Katia’s suffering increased as darkness fell. Being powerless to really help her was the hardest part. 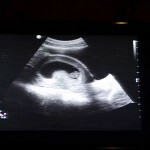 The contractions were now more intense and with some coming faster than every 5 minutes, I phoned the midwife once more. We were finally told to come in to the hospital – what a relief! The drive to the hospital was dispensed with in record time. We stumbled past the curious onlookers and into the birthing chamber. Whilst delivering Katia to the maternity ward felt like we’d achieved a major milestone, the real work was yet to come. My memory of the birthing experience is rather hazy. I was weary and seriously apprehensive, yet full of adrenaline. As my wife’s CSP (chief support person) I knew I had an important part to play. I didn’t know what to expect but I wanted to be there every step of the way as my first son or daughter came into the world. We had already discussed our strategy for dealing with the pain. We had decided the drug Pethidine was out because of talk it could affect the baby. Gas might be a go-er, but an epidural was also off our list of preferred treatments; Katia felt that she would be able to handle the occasion well enough. I naïvely thought that now we were in the hospital all would be well and the professionals would somehow make the pain better. However the labour pains only seemed to be getting worse. At the midwife’s suggestion Katia had a session in the birthing pool, which looked to me a pleasant experience. Katia’s wails however suggested otherwise and we promptly returned to our birthing suite. A plate of cold hospital food presented me with my own discomfort and, like the birthing pool, was quickly rejected. The hours flew by, yet the child was not forthcoming. Apparently something wasn’t adequately dilated and there were other considerations in relation to the child being overdue. Earlier her waters had been manually broken and in hushed dialogues amongst the doctors I sensed some concern. My stress levels increased further as I held the cool flannel to my wife’s forehead. Katia had unidentified objects strapped to her torso and a gas mask attached to her face. (With the theme of ineffectual pain relief continuing). She was clearly exhausted and I found myself admiring her fortitude. But now it was just becoming too hard and it was time for our plan to change. We called for the epidural and, with me holding Katia still, magic was delivered. The relief was palpable, and over the next few hours Katia even managed a little sleep. Still the child was clung to life in the womb. Approaching 4am, the two doctors paid us another visit and a choice was made. I remember clearly the nods between them as the midwife stood by. I also clearly remember the appearance of some extremely serious looking devices. My loitering’s in the Ante Natal class (which seemed a world away now) proved not worthless as I recognised the tools of the trade for accelerating delivery. I was shocked at this development. This was not the way I imagined it but I tried to remain calm. However the time for mutual discussions had past. The child’s heart rate was slower than desired and the professionals had made their decision. The next five minutes were the most harrowing of my life but that’s all it took for our son to be delivered. I watched (forcing myself), soothed and even participated by snipping the cord and handing the little black haired creature to his mother amidst a sea of claret. Katia had toiled for so long and done so amazingly well. I again felt enormous admiration, but this time also relief. And amazement, almost to the point of disbelief, that here it was. I had a son.